Product code: ES3839 Categories: Antique, Necklace. 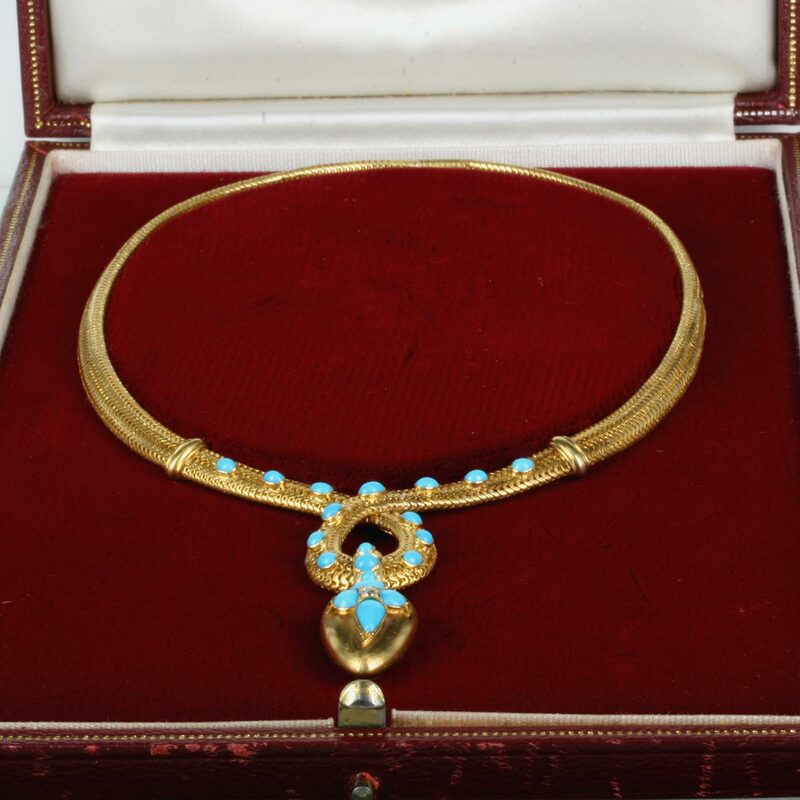 Here is a fabulous piece of mid-Victorian jewellery that looks spectacular on the neckline. 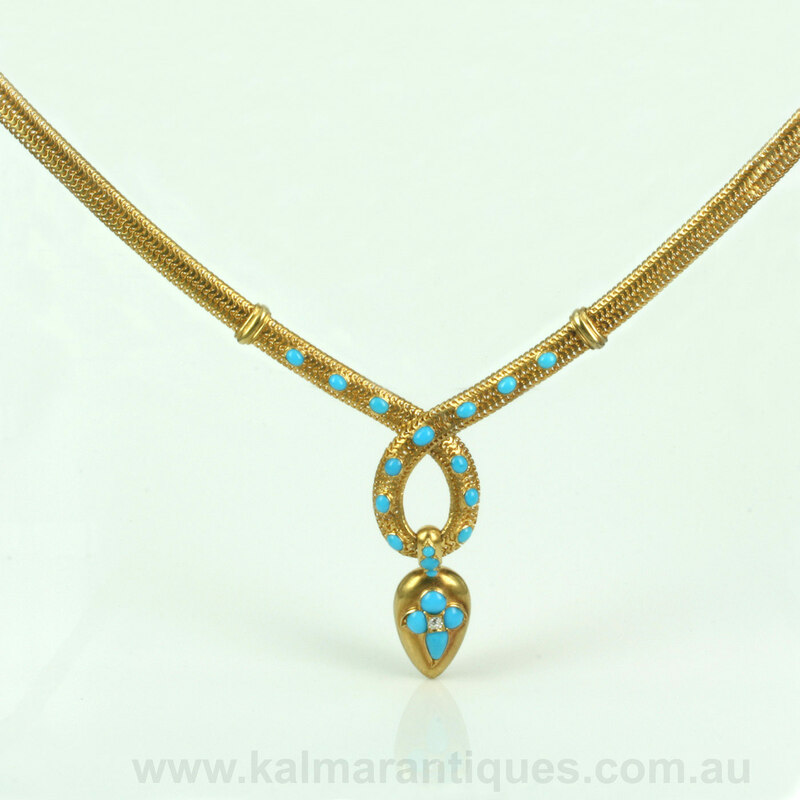 Dating from the 1870’s, this is a wonderful antique necklace that is so rich in colour and design with the finest quality natural turquoise leading down to a locket set with a diamond for added beauty. The necklace is made in 15ct yellow gold and measures 37.5cm in length when laid out end to end. The links are such an incredible serpent style design that feels so tactile and smooth when running through your fingers and measure 6.3mm wide. Set with 13 pieces of turquoise, the quality of this turquoise shows the finest colour and would have only could have come from Afghanistan where the best quality turquoise is from. 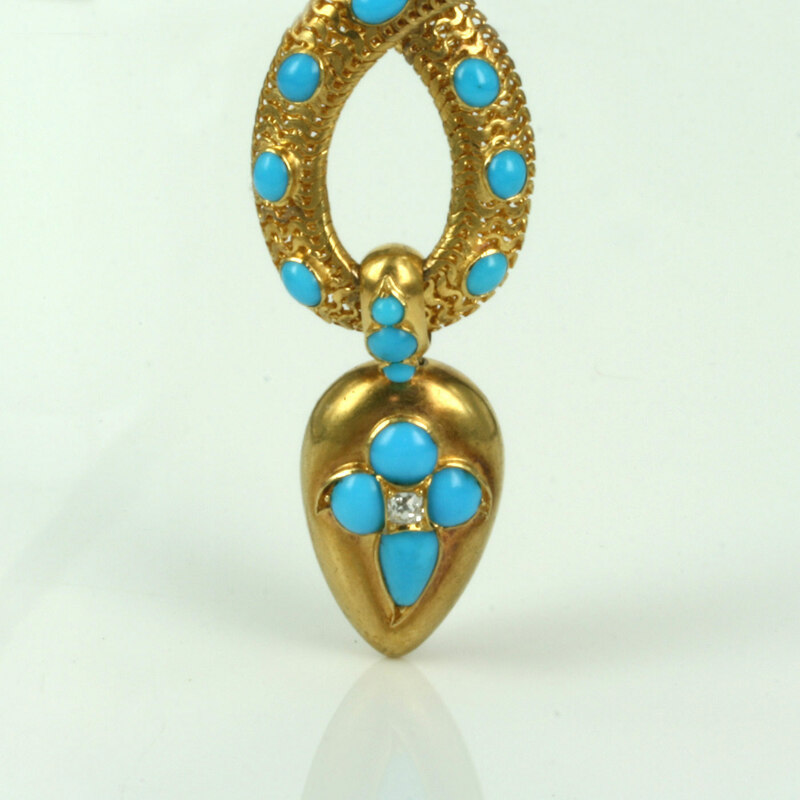 Leading to the centre so elegantly shows a tear shaped pendant set with a further 7 pieces of natural turquoise with a vibrant 0.08 carat old cut diamond sparkling in the centre. Today many pieces of turquoise are either dyed or reconstituted and no-where near this quality and all the pieces of turquoise are absolutely perfectly matched for both colour and quality. And then turning it over reveals a locket compartment for a photo of a loved one making this such a wonderful romantic and very personal piece of jewellery. 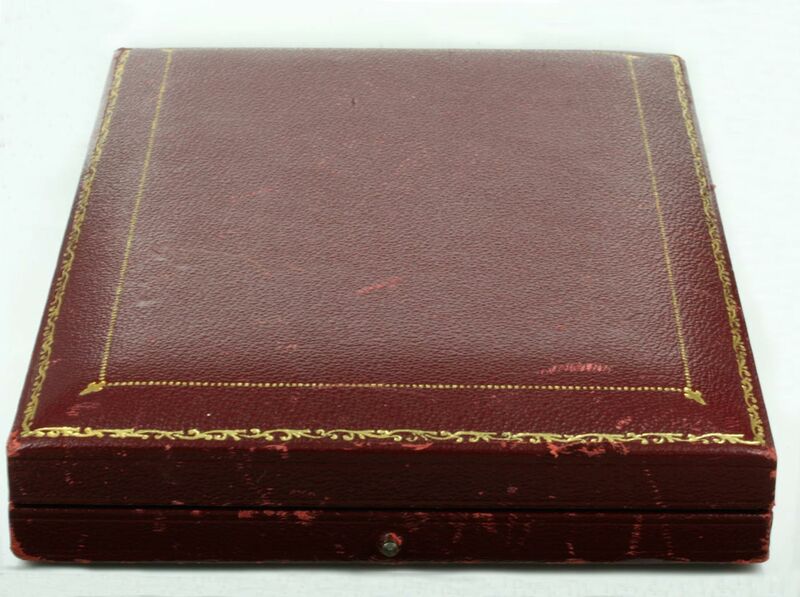 Fitted in a red velvet lined box, this is such a magnificent piece of antique jewellery from the Victorian era that will be loved and treasured for a lifetime.